Arthas Menethil was once a Paladin and trained by Uther the Lightbringer but changed to one of the strongest villains the world of Azeroth would ever see after he picked up the cursed runeblade and eventually changed into the Lich King himself. 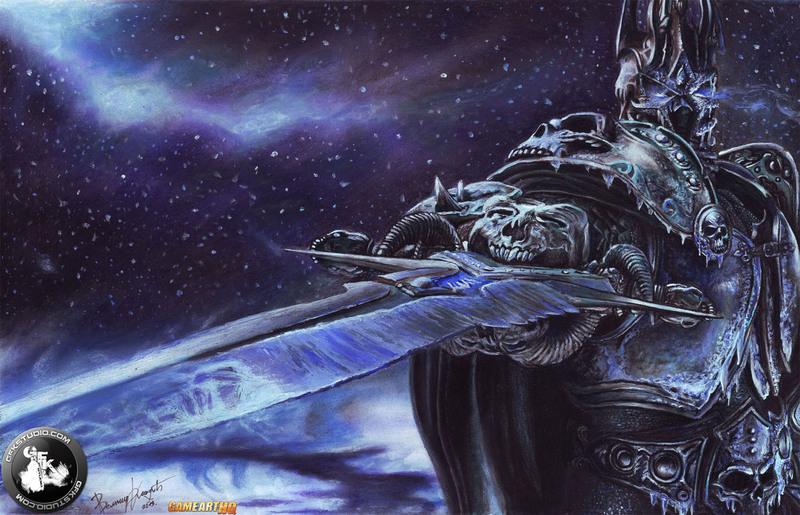 Arthas is a name nobody in the World of Warcraft wants to hear anymore. This evil being was drawn here by Velimir Kondic from Serbia who used traditional tools like charcoal, pastels, acrylic paint and markers and worked around 20 hours on this artwork. Like his Diablo drawing, another great tribute to the many cool characters by Blizzard Entertainment!